Hardwood floors are in vogue these days and they provide a touch of class and elegance to the overall decor. Apart from increasing the value of your property, hardwood flooring also makes the ambiance cozy and inviting. However, like every other type of flooring, hardwood floors also have certain disadvantages. Therefore, before installing hardwood floors at your home/commercial complex, you need to be aware of both its advantages and disadvantages. You can check out the pros and cons of hardwood flooring through the lines given below. Hardwood floors can be sanded and refinished multiple times, which is yet another advantage of this type of flooring. Hardwood flooring increases the value of a home. Studies suggest that the houses with hardwood flooring sell much faster than those featuring other types of floors. Hardwood flooring is versatile, because it fits into both traditional and modern home décor. You can also personalize your floor by using hard woods, such as cherry, walnut and oak. 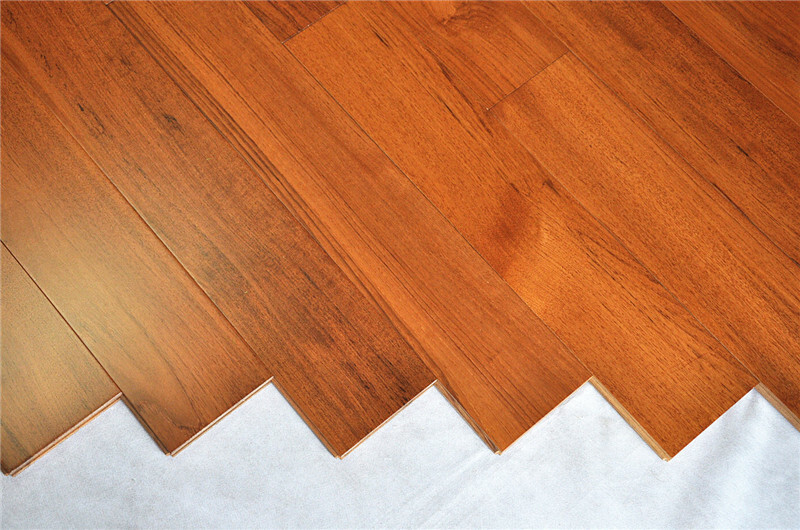 Hardwood floors are best suited for people suffering from any kind of environmental allergies. Hardwood flooring is highly vulnerable to moisture and humidity. Even a little amount of moisture can deteriorate the wood. Hence you have to be very careful, not to spill any type of liquid on the floor. The high cost of Hardwood flooring makes it less affordable for those who prefer frugal living. Apart from the raw material, installation of the flooring is also costly. Laborers also charge more for installing solid wood flooring as compared to other types of flooring. Although hardwood floors are easy to maintain, they require frequent refinishing, to ensure that their shine lasts for a long time It is especially applicable for scuffed and scratched floors. Again, refinishing can cost you a lot of money. Extreme noise, when walking across it, makes hardwood floors a nuisance for those who want their home to be a safe haven, devoid of any noises. In case they still want to install it, the floor would have to be covered, say by an area rug, adding to the expenses. Hardwood flooring is not suitable for every room at your home. You cannot install hardwood floors in your bathroom or laundry, where moisture and spills are inevitable.